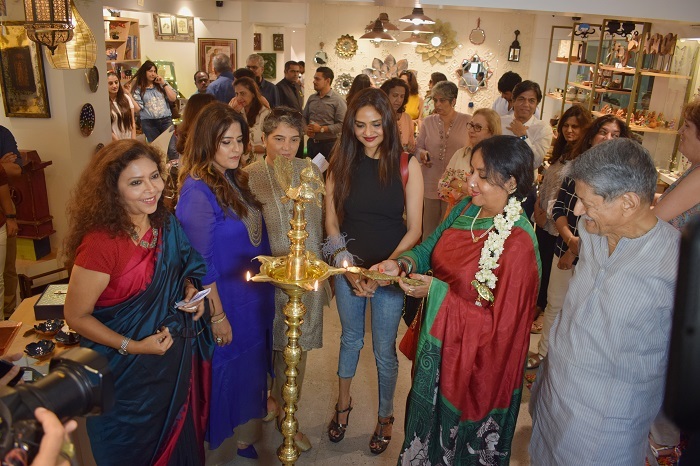 An epitome of heritage, culture and opulence; Baaya Design, a home decor store, and design studio hosted an event dedicated to art and wellness of the mind. To showcase the philosophy of ‘old things do not become extinct’, this boutique store organized an engaging session by Farhana Vohra- licensed Heal your Life workshop leader. 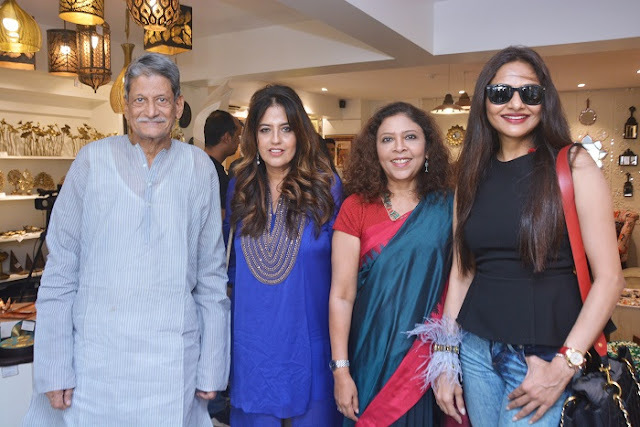 Madhoo Shah- actor, Mr. Kiran Nagarkar- writer and applauded architects Zubin and Krupa amidst eager enthusiastic design lovers. The afternoon began on a spiritual note as the esteemed guests of honor undertook the lamp-lighting ceremony. 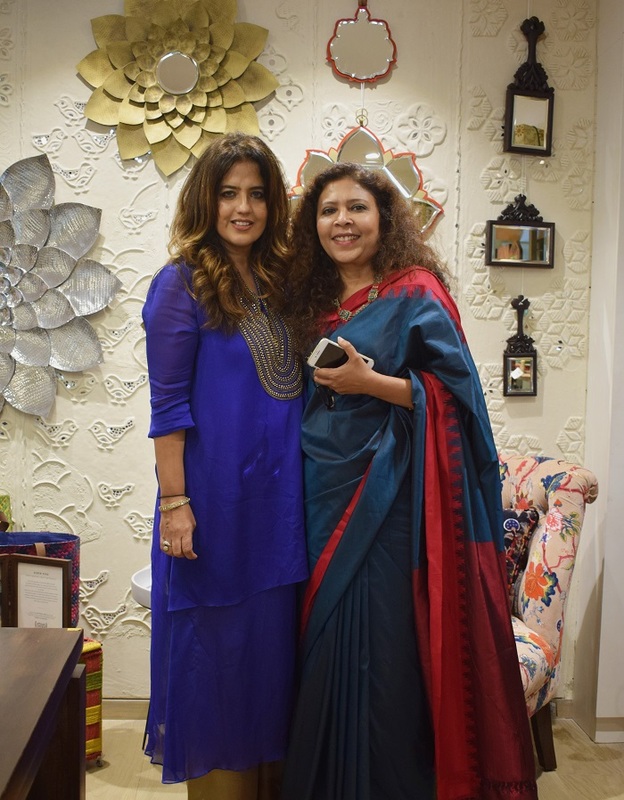 Succeeding the ceremony, Farhana Vohra introduced Shibani Jain, CEO, and Founder, Baaya Design where the latter took the opportunity to enlighten the audience about the purpose and inception of the store. She added, “My travel expeditions led me to discover the traditional art forms and the talent that is hidden in every nook and corner of India. 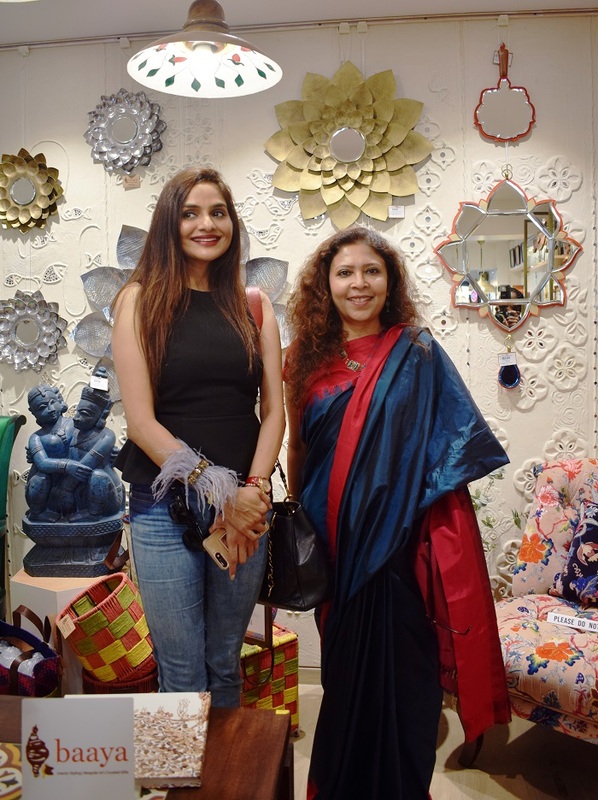 We at Baaya, aim to offer the Indian audience with exceptional ancient craftsmanship in the form of contemporary products and also contribute towards the welfare of the skilled artisans of India.” On a similar note, she also emphasized various objects of art and explained the symbolism behind the tree of life. Elaborating on the current trends in interior design, the celebrated architect Zubin said, “The biggest trend is to de-clutter a space and add elements that give a personalized essence.” Talking about incorporating designs inspired by the heritage and culture of India, Krupa expressed, “One should incorporate Indian culture to cherish it and not merely for face value.” On the joyous occasion, Shibani announced the launch of the ‘Ocean Pearl’ range which is inspired by the sea, corals and various influences from life under water. As the event progressed, the guests awed at the fine craftsmanship and high quality of Baaya’s diverse products. From wall arts and soft furnishings to accessories and jewelry; every product at the store was a true amalgamation of traditional and contemporary elements. With this interactive and insightful session, the event marked its end. Not only did the guests take home insights about the world of art and Karigri but also rejuvenated themselves with mantras to leading a positive and happy life. As a token of appreciation, the team at Baaya Design offered gift bags to its guests for extending their support and love.